BRADENTON, Fla. — After more than two days of waiting and worrying, members of Woodland Community Church made it back home late Monday night. In order to get everyone back to Florida on Monday, seven missionaries flew into Orlando, and 21 others took a flight to Tampa. 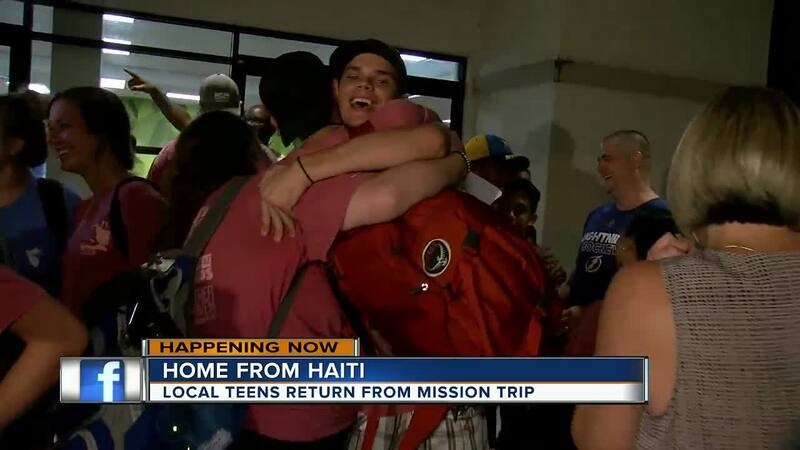 Just after 10 p.m. teens on the mission trip to Haiti arrived back at their church to some very grateful family members. Since Friday, the island nation has been in a state of emergency as looters pillaged, burned and vandalized shops in Haiti's capital Sunday following two days of violent protests over the government's attempt to raise fuel prices. With the situation still chaotic, the U.S. Embassy in Port-au-Prince on Sunday warned U.S. citizens to shelter in place. It noted that many airline flights had been canceled and said, "The airport has limited food and water available." "Telecommunications services, including Internet and phone lines, have been affected throughout Haiti," the embassy added. "It may be difficult to reach people through normal communication methods." The cancellation of flights stranded church groups not just here in Florida but from a number of U.S. states, including South Carolina, Georgia and Alabama. 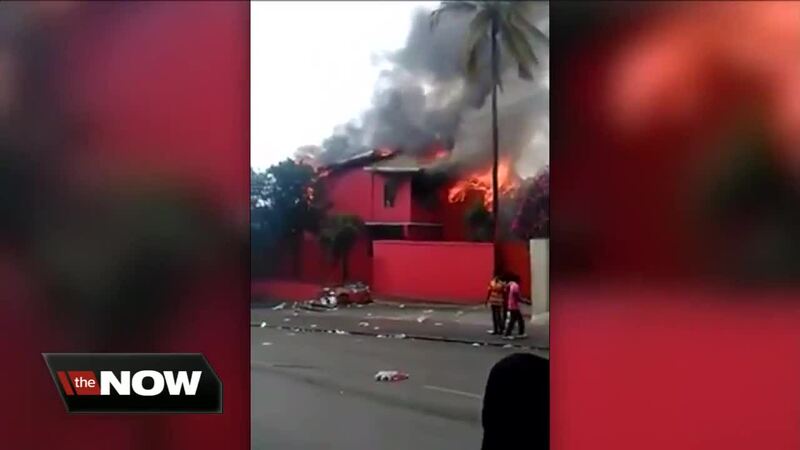 At least three people were killed in protests Friday, and police said the bodies of four people were found Sunday in the streets of the Delmas district, though they didn't say if that was related to the protests.